Counting the casualties of war is a highly political exercise. We recall the competition for promotion and decoration between US military commanders in Vietnam for Vietcong “body counts.” When these were widely exposed as false or misleading (labeling civilians as fighters), the same military announced “we don’t do body counts” in the second Iraq war and the US government fiercely challenged the appalling numbers of civilian dead estimated by NGOs and other organizations. 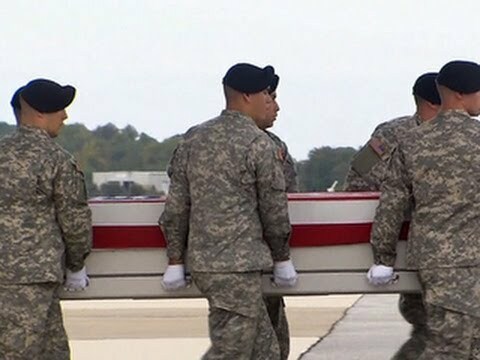 Now that the US media has stopped paying attention to the continuing US casualties in the AfPak war, who knew the remaining US troops suffered 18 combat casualties In Afghanistan last week? Or who knows that in fact, by the Pentagon count as of January 3, 2014, the total of US casualties in the Iraq and AfPak wars, including some but not all classified as “non hostile,” were 121,647? But the media do pay consistent attention to casualties in the Syrian civil war, whose numbers mobilize not only supporters of a cease fire, but also interventionists ranging from the “humanitarians” to the international political and religious opponents of the Syrian regime. And media attention obediently accepts the numbers provided by sources funded by the same ones which pay for the armed opposition. The most prominently quoted is one of the two U.K. sites (the other is largely a one-person operation) that call themselves “The Syrian Observatory for Human Rights” . That site has announced that as of Dec 30, it has counted 130,433 total deaths in Syria since the conflict began in March, 2011. While interventionist politicians often rant that all those deaths are of civilians killed by the Syrian regime, the “Observatory” itself usually avoids ascribing them to either side. It does however, consistently blame the US and its allies for not intervening in the war and thus holds them responsible through inaction for the deaths. In that context, those who rely on and report for the western media can be excused for assuming that at least most of those deaths were victims of the Syrian military or militias. But they would be wrong. As the “Observatory” itself admitted when it broke down its total as of Dec 30, the armed opposition itself was responsible for the majority of the alleged casualties. It announced that the dead included 32,013 Syrian “government soldiers” and 19,729 “pro-government militias” for a total of 51,742 combatants. By contrast, the casualties suffered by the armed opposition included 19,937 rebel fighters, 2,233 army defectors and 6,913 “Jihadists” for a total of 29,083. Finally, the “Observatory” counted 46,255 “civilian” casualties without indicating whether were caused by the government or the opposition. Even if we assume that 30,000 were caused by the dominant heavy armaments and air force of the government, responsibility for the majority of its “body count” (68,000 to 59,000) can be blamed on the opposition. It may be significant that in May, the “Observatory” estimated that at least 41,000 of those killed during the conflict were Alawites” [most of whom support the government]. The regime’s own casualty figures are rarely precise and comprehensive and in any case are unreported in the western media. In any case, we cannot accept any of those numbers uncritically. Another opposition source, “The Center for Documentation of Violations in Syria” counts somewhat fewer (95,152) total deaths for the same period. And in May, 2012, Rami Abdulrahman, proprietor of the other opposition ”Syrian Observatory for Human Rights,” stated that civilians who had taken up arms during the conflict were being counted under the category of “civilians”. Al Jazeera journalist Nir Rosen wrote that many of the deaths reported daily by activists are in fact armed insurgents falsely presented as civilian deaths, but confirmed that real civilian deaths do occur on a regular basis. A number of Middle East political analysts, including those from the Lebanese Al Akhbar newspaper, have also urged caution. See for more this Wikipedia article.